When you think of home decor, the ubiquitous ceiling fan probably isn’t the first thing that springs to mind. Ceiling fans may not have a reputation for being chic, but they are decidedly useful. They help to evenly distribute both warm and cool air, increasing the efficiency of A/Cs and heaters. They circulate fresh air and provide a cooling effect in warmer weather, meaning you may be able to turn up the thermostat on the A/C. 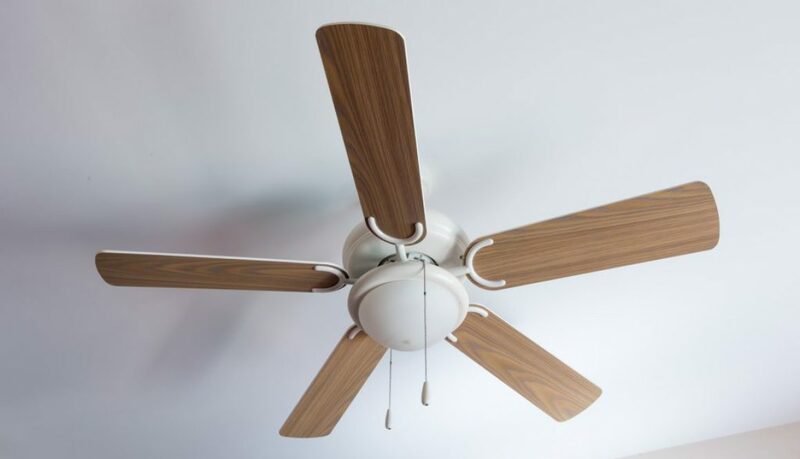 In the past, opting for a ceiling fan meant opting for function over form. Luckily, there are newer styles and options in the world of fan design that may get you excited about these helpful household fixtures. Take a look at our list of the seven coolest (pun intended!) 2018 fan design trends to find the perfect fan for your home. Picture getting both form and function in a ceiling fan. The modern ceiling fan goes beyond the faux-wood blades and shiny brass fixtures found in many older living rooms. Newer fans might be silver, oil-rubbed bronze, or metallic matte. Modern fan designs can be sleek, double-bladed, and aerodynamic. Some offer beautifully carved wood blades. With all the exciting new fans on the market, it’s more than likely you can find the perfect style for your home decor! Today’s homeowner is more aware than ever of their energy consumption. Installing and running energy efficient fans not only saves money — it’s also more environmentally friendly. Newer fans use less electricity than some of their older counterparts. If energy consumption is an important consideration for you, look for Energy Star-certified ceiling fans. A good ceiling fan will already help cut your heating and cooling costs — opting for an energy efficient unit can lower your utility costs even more! Does your house have walk-in closets, a small laundry room, or long hallways? If so, you likely know that smaller, window-less areas of the home can be host to stale air and poor circulation. 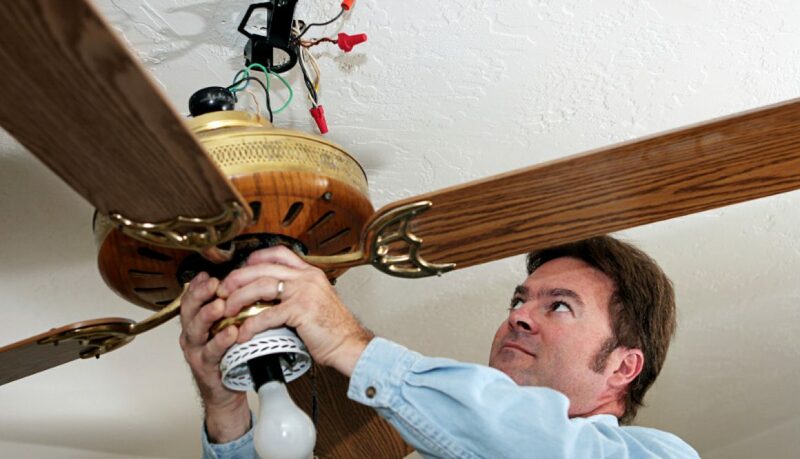 There are now small, low-profile ceiling fans available to fit the cramped spaces in the home. Many fans also have a light fixture, which can help brighten up small rooms, too. Consider installing fans in these areas to experience more comfort and better overall airflow. Add enjoyment to your covered porch or patio with a ceiling fan that’s designed to be installed outdoors. Look for specially designed fans built to withstand high humidity and wet conditions for outdoor installations. Steamy summer evenings are much better with a fan overhead! Like every other gadget in our homes, tech has crept into ceiling fans. If convenience is your priority, look for high-tech options in your next fan. Fans with Bluetooth speakers, fans operated by remote or wireless wall controllers, and fans with efficient LED lighting are all available. There are even automated fans that increase or decrease speed depending on the temperature in the room. Consider the largest space in your home — chances are it’s your living room. Large rooms need larger fans. 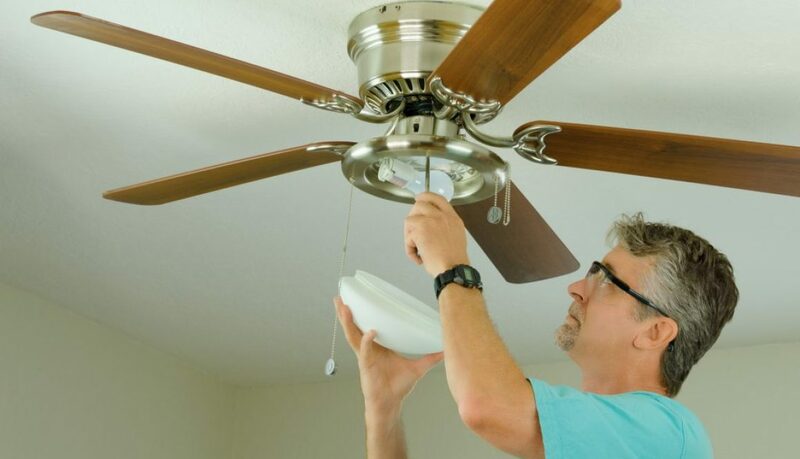 Opt for a larger bladed fan with a more powerful motor to circulate air in a big room. This can be especially useful in the winter when warm, dry air tends to rise. A large, powerful fan on a low setting can help reduce the amount of heat that stagnates at the ceiling by gently recirculating it throughout the room. 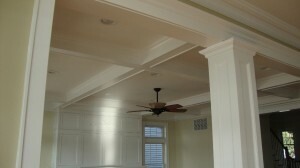 Still not sold on the look of ceiling fans? Maybe you’d prefer a “fandelier,” which is essentially a fan hidden inside a cylindrical lighting fixture like a chandelier. They are generally also a lighting fixture, increasing the practicality and further disguising the blades. Fandeliers can add much-needed circulation to a room while still maintaining a low profile and not disrupting your decor. 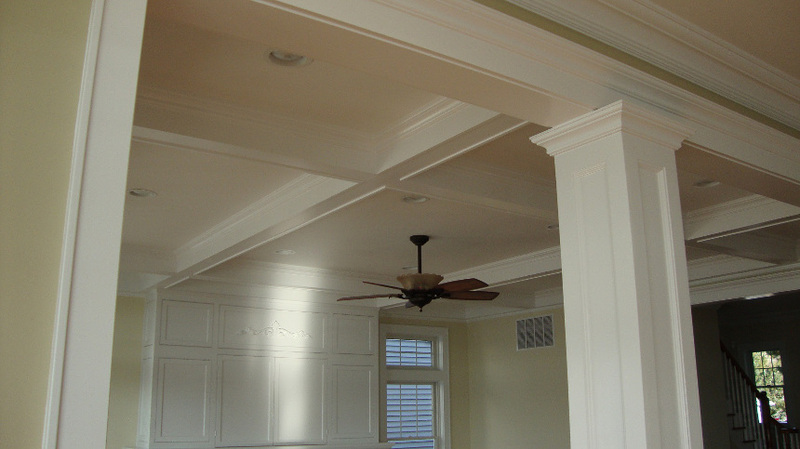 We hope this blog has helped you see that ceiling fans are still a smart choice. You can cut down on energy bills, maintain a more comfortable living space, and still have a stylish home with the right fan design. Win-win! If you have more questions about choosing or installing fans, get in touch with us. We’re happy to answer questions and assist you in choosing the right ceiling fan for your needs!